We are running out of superlatives to describe Nike F.C, which is for very good reasons. 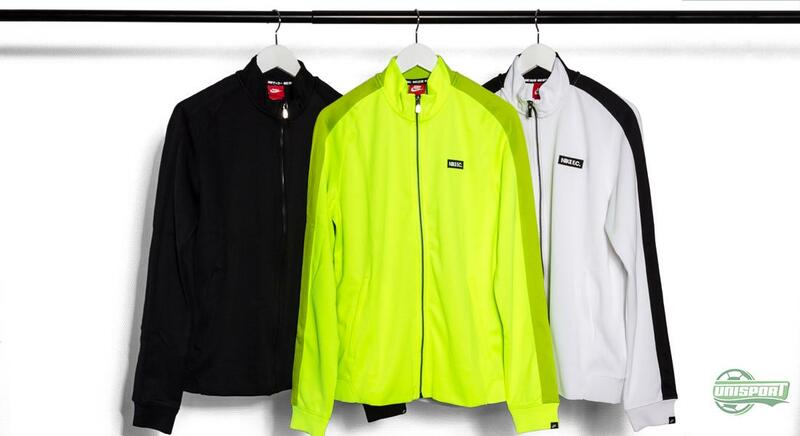 The popular club has really managed to attract attention since the first collection hit the market last spring. It is comprised of everything from sneakers to caps, to t-shirts and hoodies. 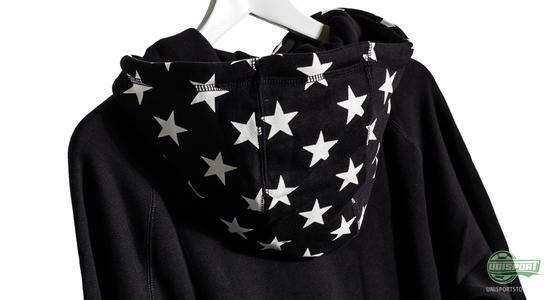 And the newest hoodies are very much the focus of this news article. Check them out here. In the latest Nike F.C. collection we saw the brothers Jerome and Kevin-Prince Boateng as the front figures. Nike F.C. are really managing to gather some of the most iconic and inspiring footballers around the world, to represent the clubs identity. And the latest stop was in Berlin. 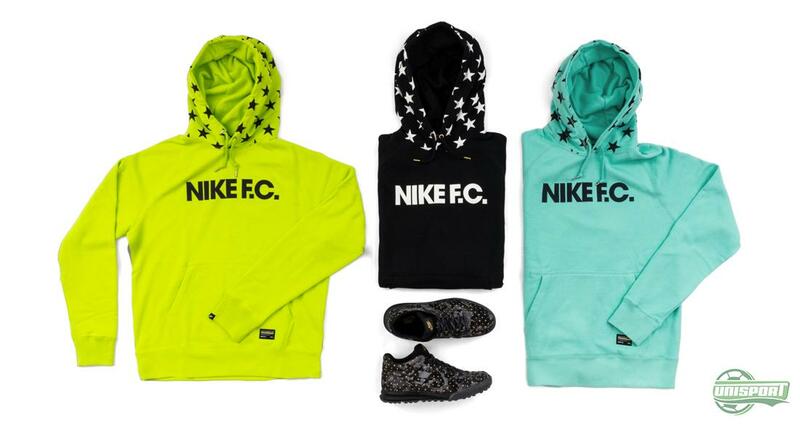 See the large selection of Nike F.C. 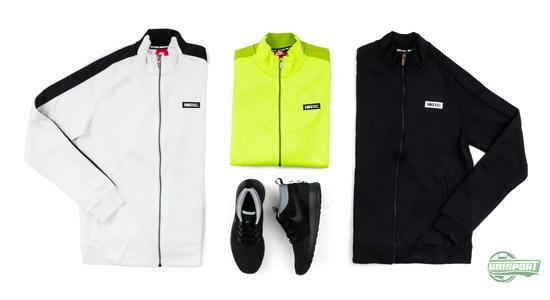 hoodies and track tops right here. The first collections were very stylishly clean in either predominantly black or white colours, but often with twists of gold featuring too. However as Nike F.C. has grown in age, they have dared to venture into more flashy areas of the colour spectrum, with ever wilder patterns and colours. With these hoodies and track tops there has still snuck in some of the classic colours, so there’s plenty of gear available for the more traditional folk. Apart from the one Track Top, which is a complete colour copy of FC Barcelona’s new third shirt, the design of the other Nike F.C. shirts are also inspired by the Colour Flash 3rd shirts. 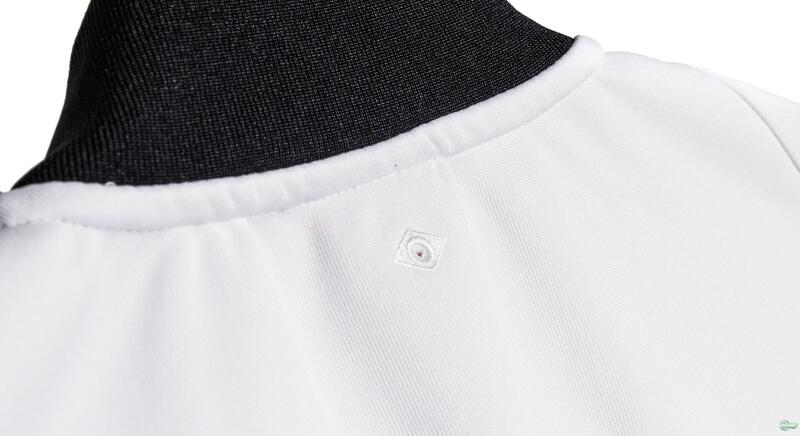 Down the side you find a stripe in a darker nuance, while the back of the shirts are made with a darker shade. 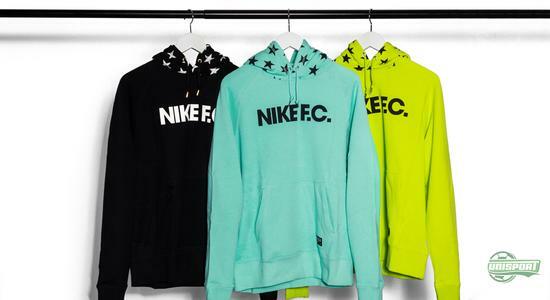 Find the large selection of Nike F.C. hoodies and track tops right here. The hoodies are equally daring in their design, with stars on the hood and another colour we recognise, as it featured on the latest Magista collection. 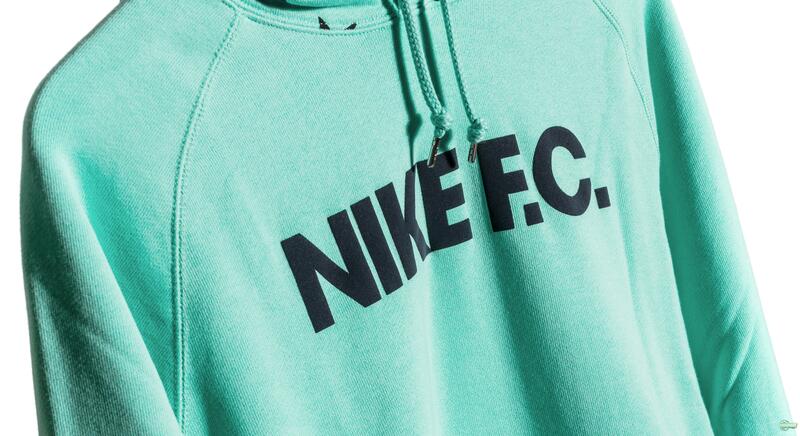 The classic hoodie is an immortal object, which will definitely be a great fit for any Nike F.C. fan. 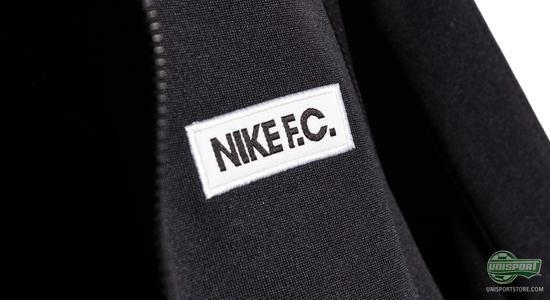 By being inspired by football products Nike make sure to represent the exact thing that Nike F.C. claims to be: They don’t just play football, they live it. With the newest collection you can show your football style, both on and off the pitch. 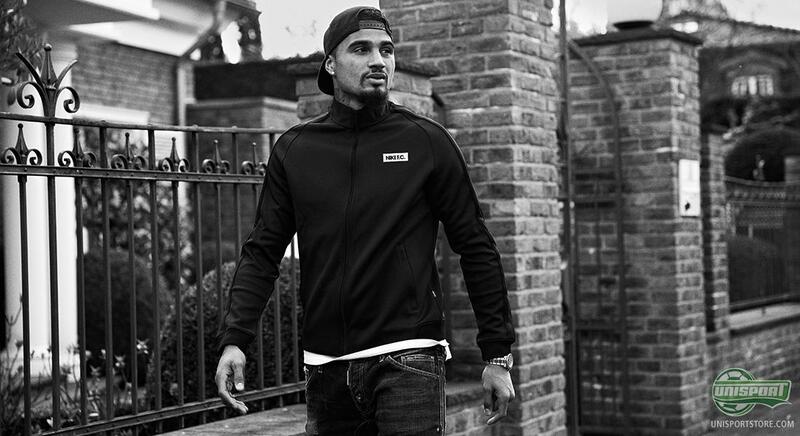 Just like Kevin-Prince and Jerome Boateng do along with the rest of the gang, when they show off the Nike F.C. logo on the streets of Berlin, Paris, or wherever they might be. Nike F.C. are beginning to incorporate more and more colours in their designs, which is sure to whet the appetite of many football fans around the globe. We are loving Nike F.C., but what do you think of the latest collection?